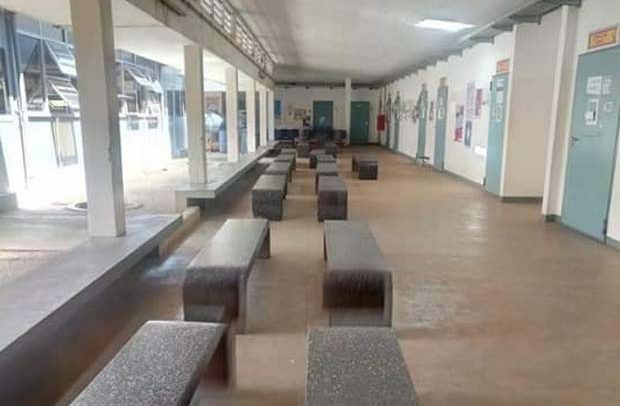 Hundreds of patients who went to the Tamale Teaching Hospital (TTH) yesterday were left unattended to as staff of the hospital refused to work over the attack on their Chief Executive Officer (CEO), Dr. David Kolbilla. Northern Regional Minister Salifu Saeed had earlier in this week pleaded with the staff to return to work as their demands for heightened security at the hospital were being worked on, but the striking health professionals are yet to rescind their decision, with more allied health staff joining the sit-down action. The Ghana Society of Radiographers in Tamale and the Ghana Association of Certified Registered Anaesthetists yesterday joined their colleagues on the sit-down strike. Patients on admission at TTH were spotted leaving the hospital for fear that they would not be given the necessary medical attention due to the strike action. Most of the patients who were admitted at the hospital have been discharged by the hospital authorities, leaving only patients in critical condition. The out-patient department (OPD), pharmacy and other departments of the hospital were all closed. Some stranded patients, who spoke with the DAILY GUIDE, pleaded with the striking health professionals to return to work. Mr. Cherit and his wife, who came all the way from the Kpandai District to seek healthcare for their daughter, were asked to go back home due to the strike action. Madam Munira, who also came for an antenatal service, was asked to return home. “The strike will affect me because I was given two weeks, weeks to come for antenatal but as you can see they are on strike,” she bemoaned. The Ghana Registered Nurses and Midwives Association at the Tamale Teaching Hospital earlier this week embarked on a sit-down strike to register their displeasure over the attack of their CEO. “We, as nurse and midwives of the hospital, condemn these acts of lawlessness that has bedevilled the institution over the past years. Many nurses, midwives and other staff have faced brutalities over the years in the hospital,” they disclosed. Salifu Saeed, in an emergency meeting with the Northern Regional Security Council (REGSEC), hospital authorities and the striking health workers, assured them of finding a lasting solution to the problem.